American Outdoor Advertising is a growing billboard company locally owned and operated in Columbus, OH. We currently have billboards in Ohio, Indiana, Florida, New York, Pennsylvania, West Virginia and Kentucky. We continue to expand each day! Our billboards are located in key cities on highly traveled roads and highways. We have locations at strategic intersections and attractions throughout major cities such as Columbus, Cleveland, Indianapolis, and Orlando. Billboards offer unparalleled outdoor coverage, making them the world's largest advertising medium. The long term presence and enhanced visibility of billboard messages impacts commuters on the go. Billboards offer a large canvas for creativity. Dominate the roads with this highly visible advertising medium! 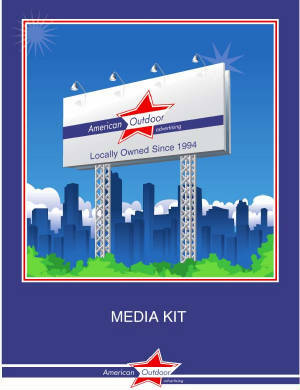 Let American Outdoor Advertising lease your commercial or industrial property. We can provide a steady source of income, which maximizes a return on your property investments and increases the potential re-sale value! Use Billboards for Name Recognition! Use Billboards for Directional Advertising! Use Billboards to get your message out there! OUR WEBSITE IS CURRENTLY UNDER CONSTRUCTION. WE ARE UPDATING IT DAILY. PLEASE CHECK BACK FOR MORE INFORMATION.